Listen to their stories: One of the ways we can address the issue as a society is by looking to our veterans and hearing their stories. We can learn so much from what went wrong in the treatment of their health issues and the resulting addiction which can only lead to further health issues. By sharing their stories, we can put a face to the problem which will stir the conscience of our society and enact real change. 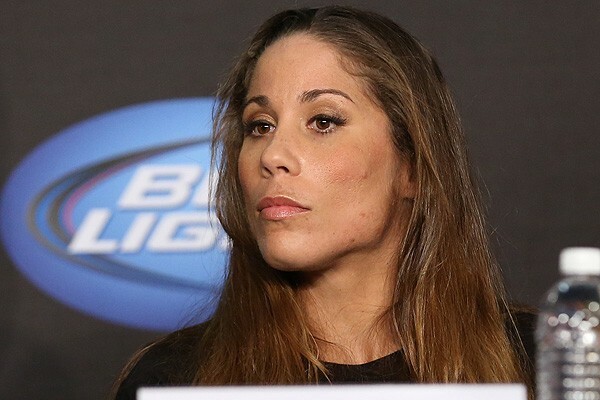 I had the pleasure of interviewing Liz Carmouche. 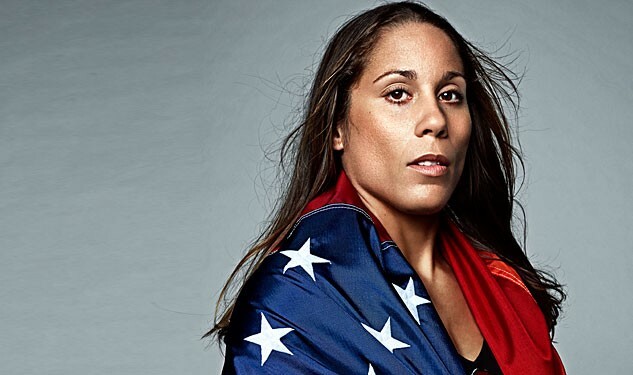 Liz is an American MMA fighter who competed in the first-ever women’s UFC fight, a U.S. Marine Corp Veteran, the UFC’s most decorated ex-military athlete and the first openly gay UFC fighter. 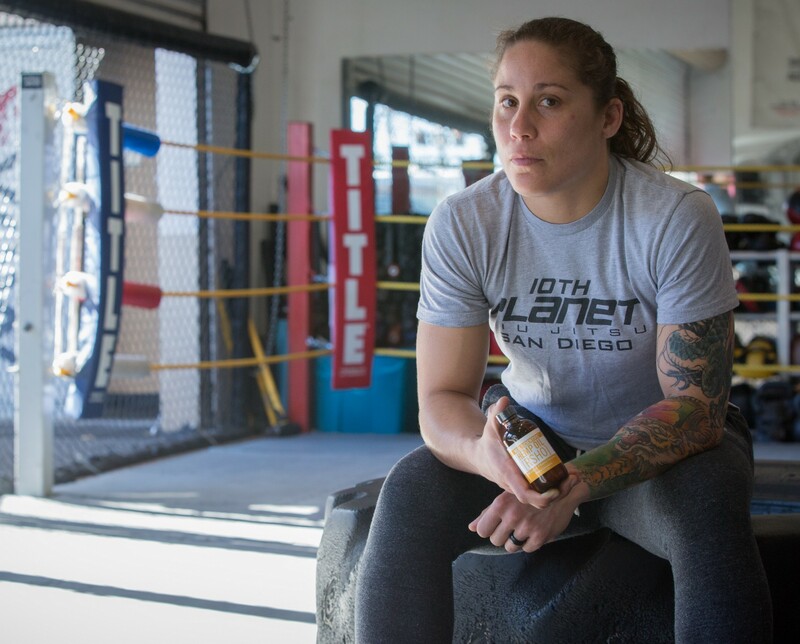 Now a spokesperson for HempMeds, Carmouche uses their CBD hemp oil RSHO to train harder and recover faster, saying it helps her with pain and inflammation issues. Like most athletes, Carmouche was excited to see the news that the World Anti-Doping Agency removed CBD from its 2018 banned substances list, opening up access to thousands to athletes around the globe who are subject to drug tests. 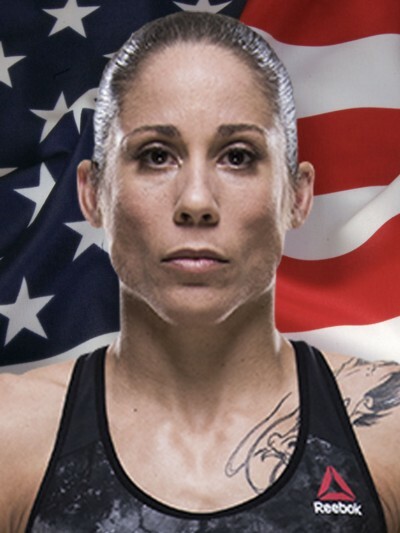 Carmouche is Nicknamed the “Girl-rilla,” she is currently the №6 ranked 125-pound female MMA fighter in the world, according to the Unified Women’s MMA Rankings. She has been featured on TMZ and in Forbes. I spent my childhood in Okinawa, Japan, where my father was in the Marine Corps. When I was growing up, my father and mother had to work on separate bases, so lived with my mother in Okinawa, Japan, until I joined the Marine Corps at age 20. I was in the Marine Corps for five years and then transitioned to joining the MMA world where I have been training for almost nine years. Really, there’s no distinct story, but more a conglomeration of many stories I have heard over the years in my encounters with veterans. I’ve talked with many different vets who went through trauma in Afghanistan and Iraq, who fell into opioid addiction and were desperate to get clean for their friends and their family. Cannabidiol (CBD) hemp oil is what many of them turned to for real pain relief and in order to get clean. I was fortunate enough to get connected with Red Warrior Foundation to meet veterans looking for a change of lifestyle. A few of the vets I met were in wheelchairs or missing limbs and were in pain 24/7. Many of them were so impaired by all of the medications that they lost track of the years. I found CBD because of these vets, seeing they were able to overcome addiction and trauma through the hemp extract. I can only explain from what I have learned through my experiences. It is common practice in the military to put a band-aid on the problem in order to be combat ready instead of considering the long-term effects. CBD makes more sense because it can help people without introducing them to intense narcotics that they’re at risk of becoming addicted to. As a representative of HempMeds, one of the leading CBD brands in the U.S., I have been able to reach a lot of people to tell them there are a lot of alternatives to opioids. In addition to my work with as a spokesperson, I am able to talk with people through social media, individually and in front of groups. Additionally, as an MMA fighter, I’ve been able to have great talks with teammates who are going through the pains of training. 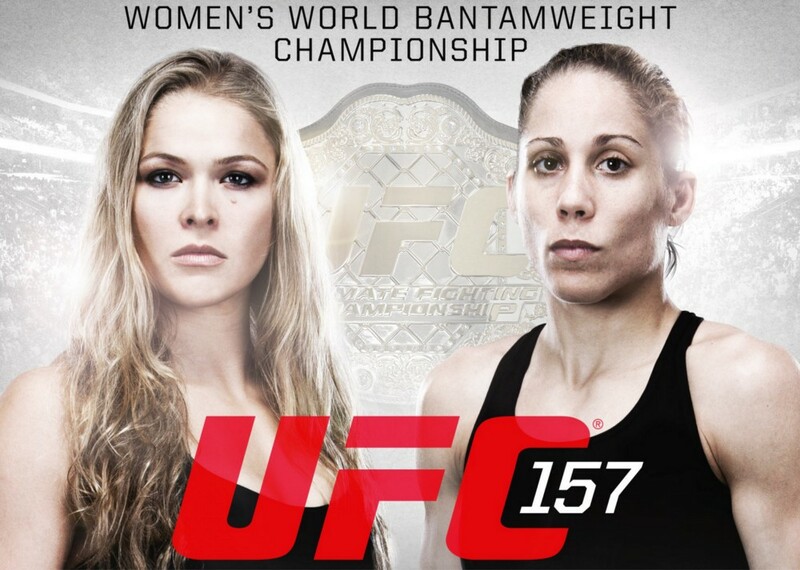 With combat sports, you know you will be damaging your body daily. 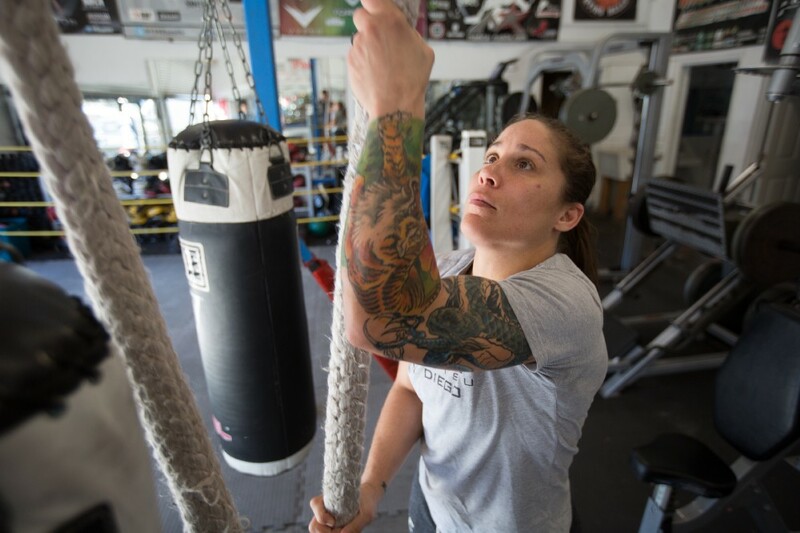 I’ve been able to talk with different athletes who come through my gym, as well as veterans who come through my gym. Also, the comradery that comes with the gym and the outlet that it offers has a therapeutic effect and can help people come off of opioids. I post pretty frequently about the benefits I’ve experienced through HempMeds Real Scientific Hemp Oil (RSHO), and in the responses I receive I’ve been able to help a lot of people. Numerous individuals have contacted me personally saying they have been able to escape harmful medications that were hurting their bank accounts and their bodies, and have come back and told me how my educational initiatives through social media have been able to make a drastic change in their lives. The most uplifting thing I’ve experienced is being a strong female that people can look up to, showing women that their dreams are achievable and that the power they have inside is stronger than any external forces. By being an outspoken, confident and honest person I’ve been able to lead by example and see a change in the lives of others. I’ve gotten to speak at schools and on panels to talk about the hardships I’ve overcome, and the feedback I’ve received is amazing. It’s wonderful to connect with youth to help them avoid the mistakes I made and tell them what I wish I’d known when I was younger. 1) Listen to their stories: One of the ways we can address the issue as a society is by looking to our veterans and hearing their stories. We can learn so much from what went wrong in the treatment of their health issues and the resulting addiction which can only lead to further health issues. By sharing their stories, we can put a face to the problem which will stir the conscience of our society and enact real change. 2) Education: Informing the populous in general on use and abuse of opioids and inversely, the benefits and pain-relieving properties of CBD, is hugely important. Most people have a misconstrued view of what opioids can do in terms of damaging the body, and many also still think CBD is something from marijuana that gets you high when that couldn’t be further from the case. 3) Policy change: Policies in place currently allow convenient access to opioids and simultaneous restrictions on CBD. CBD is a much safer option but its a lot easier sometimes to get opioids. It would be great to see pharmacies, hospitals and the VA offer clinical-grade CBD instead. 1) One change I would like to see is allowing CBD to be federally legal, and state to state-mandated legal. We need to change that legislation to make it available to everyone. 2) The second thing I’d like to see happen is the U.S. government offer free CBD for all veterans who have given so much and deserve plant-based pain relief without side effects. 3) The third thing we need is non-narcotic options given post-surgery. My experience with injuries is that the first (and only) thing they prescribe is hard narcotics. When I’ve asked for other options, they’ve said no. The big thing that keeps me going is the benefits I’ve experienced myself, avoiding opioids and using a daily regimen of Real Scientific Hemp Oil. If I didn’t see all the benefits directly affecting me, and because I can see its such a viable option for me, it is easy to continue down this road because I can see what its done for me and what it can do for others. I absolutely hope so. The less trauma and pain that’s in the world, the more happiness we can all experience. I define leadership as being at the forefront of expectation. When someone leads by fulfilling expectations and being an example, ultimately people will follow suit. I lead in the MMA as a head athlete setting an expectation for other athletes by setting an example. When I was in the military, if I wanted to send out my marines to do a job, I would go out with them, because I’m not going to ask them to do a job that I wouldn’t do myself. 1) The misnomer that CBD gets you high. Wish I had known from the beginning because it took so long for me to unlearn the stigma surrounding CBD that had been ingrained in me through the years. 2) All the benefits that CBD can have in treating various conditions including chronic and acute pain, while before I would just pop an ibuprofen or two and accept the limited relief it brought. 3) Learning about CBD specifically as an alternative to opioids earlier in life, because in my career I’ve been prescribed harmful narcotics that I could’ve avoided if I’d only known. 4) No one told me where I could find CBD, and it was something I had to be proactive in researching myself. Thankfully, now people can get it easily by ordering it online from trusted providers. 5) Finally, I wish someone had told me about HempMeds sooner because I went through so much trial and error with other mediocre brands. I’m not saying this because I’m a spokesperson; I became a spokesperson because I was wowed by the incredible relief Real Scientific Hemp Oil brought me, when other brands just didn’t live up to their claims. If I were to create a movement it would be for youth to pursue their dreams. So many kids think that financial hardships hold them back, or think they’re not smart enough, so the movement I would start would be the ‘dream movement.’ Know your dream is tangible and if you work hard you can achieve it and it’s worth it. “The only person who can tell me no is myself.” I never want to allow outside influences to tell me I’m incapable of anything. Ellen Degeneres, because since I got into MMA I became a huge fan of Ellen. I’ve seen firsthand how being an out women can lead to so much animosity. I would love to pick her brain, listen to her jokes, and hear firsthand what inspired her to be the person that she is today.